Burly is a Sean Fournier’s side project. “Worthy” has all characteristic qualities of Sean’s previous creations – the melancholic voice, clear piano & guitars and carefully crafted lyrics, but with a tiny spin. 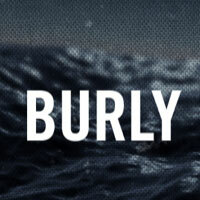 To hear more from Burly, fans need to ‘Like’ his songs on Facebook. After a song accumulates a specific number of fans, another is published. Hope the experiment works, because I would sure love to hear more complex and longer track as the #2 – 44 seconds of “Worthy” is not enough!!! We poke our own holes. the storm must be braved. that I am worthy to be saved. If you’ve already ‘Liked’ Burly, but want more NOW, check out Sean’s Free Album “Oh My”. *To Download this music video, you need to be logged in to Vimeo.com. Scroll down – the link is on the right side.